35 years ago today a young Eric Gargiulo called the WWE hotline and listened to Howard Finkel run down the results of the big Madison Square Garden event. Little did I know that the result I heard would change the face of pro wrestling forever. Today marks the 35th anniversary of the biggest championship win in the history of the WWE. An icon was born on this chilly night in New York City. Hulk Hogan dropped the big leg across the Iron Sheik and covered him for the 1-2-3 to win the WWE championship. An icon was born on this chilly night in New York City. The WWE I knew on January 22 was now officially a thing of the past. The story behind this championship match is an interesting one itself. Bob Backlund had been a dominant champion since 1978. Backlund was champion when I began watching wrestling. The WWE was much different at this time. Sure it had its characters, but it was far removed from the glitzy circus it would become two years later. It probably sounds ridiculous now but I didn’t expect a title change here. Bob Backlund was originally announced to wrestle the Iron Sheik in a rematch. Backlund was pulled not long before the match and the change was announced during the localized promos. The idea of a champion losing the title in one month was unheard of at this time. Yes today you could see the finish miles away but in 1984 I just didn’t see it coming. The WWE was hot, even before Hogan arrived. Backlund sold out the Garden plenty and the WWE was coming off of one of the hottest feuds in the business between Jimmy Snuka and Don Muraco. What I didn’t know as a fan at the time was that Vince McMahon SR. had sold his interest in the company to that goofy-looking announcer I would watch ever Saturday morning. That is when things started to change. Now there are some different versions of what happened around this time depending upon who you ask. 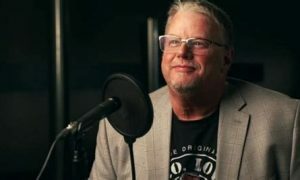 Dusty Rhodes wrote in his book that he was approached by the WWE to be the national star in Hogan’s spot. Nobody has ever confirmed that to my knowledge. Hogan at this point had been out of the WWE for a few years but was becoming a big star in his own right. Rocky III and appearances on talk shows helped put Hogan’s name out there long before he stepped back into the WWE. Hogan was drawing big crowds for the AWA and was a big star in New Japan Pro Wrestling. While the WWE certainly helped expand the Hulkamania machine, Hogan had already given them a head start. What boggles my mind to this day is why Verne Gagne never put the AWA world championship on Hogan. Hogan drew big houses as a challenger to Bockwinkel. I remember being drawn to their feud by the Apter magazines at the time. Hogan split time in Japan but Verne wound up putting the belt on Stan Hansen who did the same thing. Now according to Hogan’s Wikipedia page, Gagne wanted Hogan to marry his daughter before he put the belt on him. I have never heard that before. 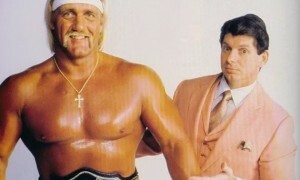 Hogan’s no-showed his final dates with the AWA at the end of December after sending Verne his resignation from Japan. Speaking of Verne, if he would have had it his way there would be no anniversary to celebrate today. According to the Iron Sheik, Verne offered the Sheik $100,000 to break Hogan’s back and go into business for himself. How true is this story? Sheik has stuck to it yet many in Verne’s camp have denied it. I think it’s true. Verne trained the Sheik, had a personal grudge against Hogan and Vince McMahon, and was old school enough to think this kind of thing could have worked. Luckily for the millions of Hulkamaniacs that night the Sheik did business the right way. 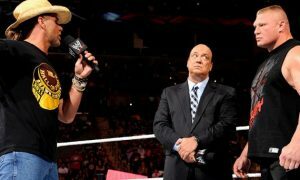 How different would the WWE have been without Hogan? 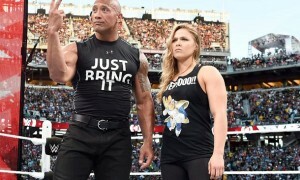 Could they have pulled off WrestleMania? It is hard to say. The top babyfaces at the time were Bob Backlund, Andre the Giant, Rocky Johnson, Fand Jimmy Snuka. None of these guys had the charisma that Hogan had. None of these guys would have fit into the rock and wrestling role, although it would have been funny to watch them try. None of these guys had the personalities to engage the media like Hogan did. None of these guys were larger than life like Hogan, with the exception of maybe Andre. The WWE would have been fine in its current state at the time but there was nobody who would have had the crossover appeal that Hogan had. I was there for Hogan’s WWE championship debut at the Philadelphia Spectrum against the Masked Superstar on February 18, 1984. I had attended many shows at the Spectrum and one at the Nassau Coliseum pre-Hogan. This was just different. It wasn’t a crowd full of adults or fathers and sons. My whole family came along this show as did many others. When Hogan came out it was absolutely electric. Backlund, Andre, and not even Snuka got monster pops like this one. It was just completely different. It was like watching your home sports team win a championship at home. I had never seen anything like it. I also experienced the phenomenon of Hulkamania away from the wrestling ring. I begged my dad to take to a Hogan autograph signing immediately after he won the WWE championship. I stood in line with dad (who was not very happy) for hours at a local Kiddie City for the chance to meet the Hulkster. Once I got to the front of the line the Hulk couldn’t have been more a nicer guy to this young fan. I will say this about the Hulk. I have met him several times over the last few decades and he was always an extremely nice guy. On top of that I heard from many locals during my trips to Clearwater over the years about how great of a guy he was. Fan or not you have to respect the way the man treats his fans and just people in general. Hulkamania took the country by storm. The WWE sold t-shirts before Hogan arrived but I never saw anyone wearing one. Once Hogan got there I saw a Hulkamania t-shirt almost daily whether it was in school, a mall, a supermarket, etc. Not only was it okay to admit you were a wrestling fan, it was actually don the swag and admit it. The rest is history of course. I won’t say Hogan turned the company around because I don’t think it was ever in trouble at that point. I will say that Hogan took the company in new directions and helped grow the business like nobody else could have at the time. He remains the most recognizable professional wrestler in history.